"Some journeys take a lifetime." An intimate look at the lives and legacies of piano player Pinetop Perkins, drummer Willie 'Big Eyes' Smith and guitarist Hubert Sumlin, all Muddy Waters and Howlin' Wolf sidemen. The film captures some of the last interviews and their final live performances together, before their deaths in 2011. The historic live shows are accompanied by performances and personal insights from many of the blues and rock stars these legendary sidemen inspired including; Bonnie Raitt, Gregg Allman, Derek Trucks, Shemekia Copeland, Kenny Wayne Shepherd, Joe Perry, Joe Bonamassa and Johnny Winter. 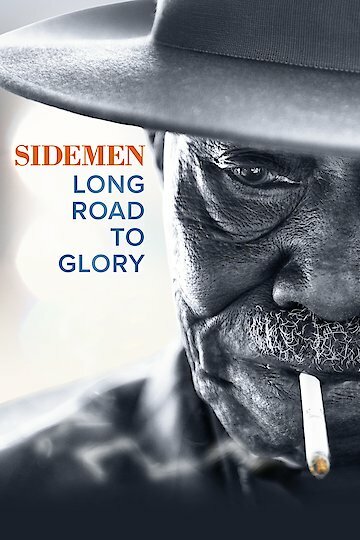 Sidemen: Long Road To Glory is currently available to watch and stream, buy on demand at Amazon online.